If there’s anyone who can’t wait for league play to start, it’s Mendoza. His pre-league schedule has been brutally tough. Last night, his Chargers travelled to play unbeaten Sierra Canyon in their final game before Channel League. It’s their fourth undefeated, CIF-ranked opponent, following Pacifica, Newbury Park, and Lompoc. Sierra Canyon, a private school in Chatsworth, is 4-0 and ranked second in the CIF Mid-Valley Division. The Trailblazers have several playmakers, led by quarterback Niko Harris (57 of 86 passes for 996 yards and eight touchdowns). They average nearly 40 points game. The defense is tenacious, led by linebacker Christian Hernandez and lineman Hunter Mattox. The unit has recorded 15 sacks. Dos Pueblos is coming off a 45-7 loss against Lompoc. But Mendoza said his team did some good things in the game. Senior quarterback Barrett Burnes returned to the huddle after being sidelined for three games to recover from a concussion and moved the team. Tight end/defensive end Austen Pearce also returned from injury and caught a touchdown pass. 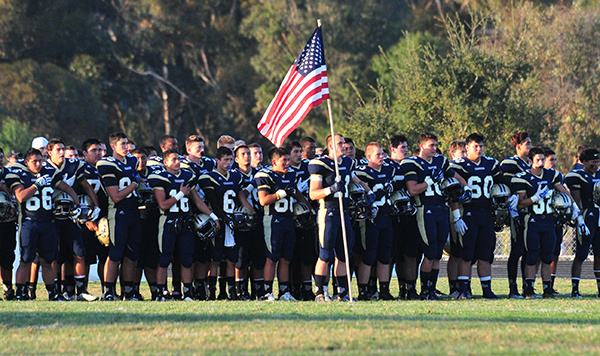 Dos Pueblos’ next home games are October 10 against Buena, and October 17 against Santa Barbara.